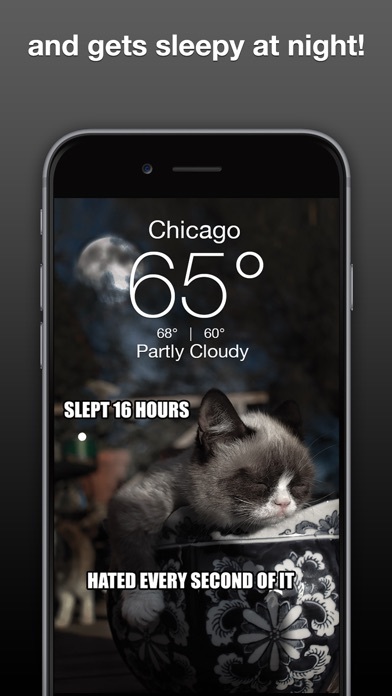 Smile or frown every time you check the weather with the grumpiest forecast ever! 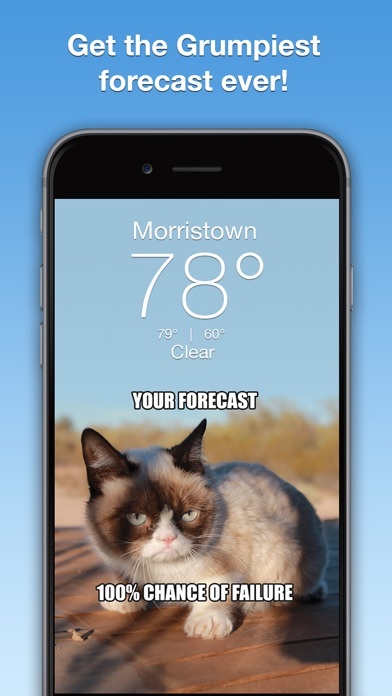 Features: - Hourly weather - 7 day weather forecast - Animated Radar - Weather forecasts from around the world - Share Grumpy's forecast with friends on Facebook, Instagram & Twitter - Today's high and low, feels like, humidity, wind, sunrise/set and more - GPS feature can auto-locate your city The weather has never been grumpier! Fun app. Good weather info. 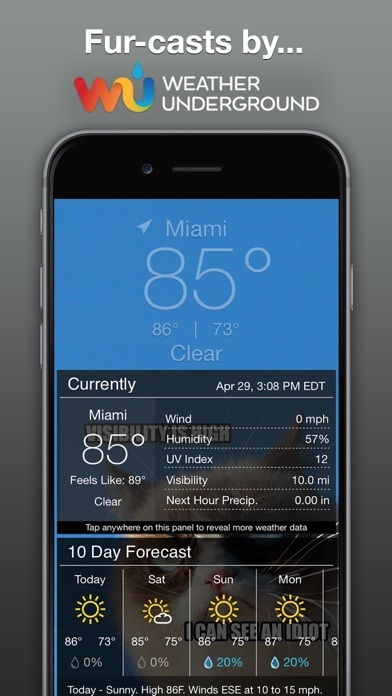 Pleasant change from the stale looking weather apps. Love it. Worst best weather reports ever -5 stars! 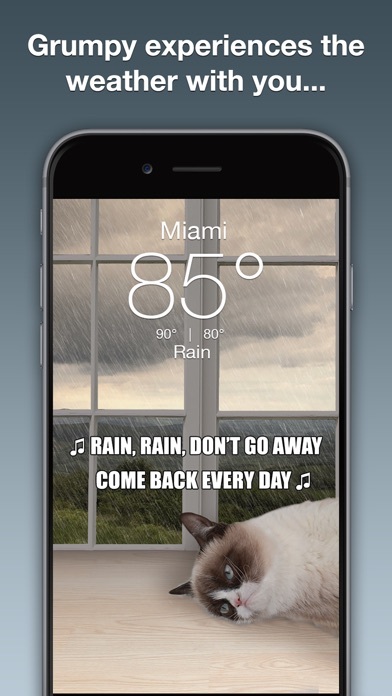 Even rain makes me smile with Grumpy Cat! "Witty Kitty"...Mark Twain Would Love "Grumpy Cat"! 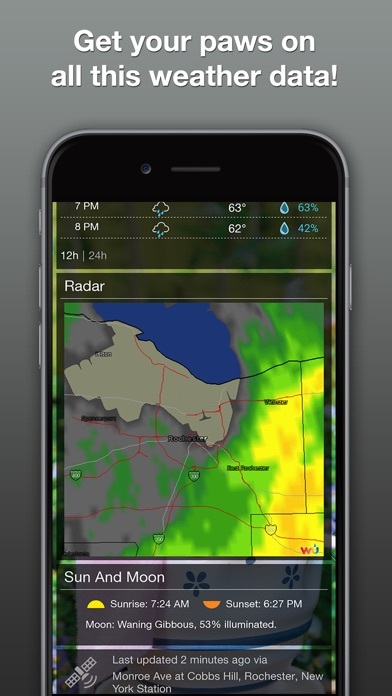 More by Weather Creative Inc.